"Board members have a breadth of experience across all aspects of breeding and business"
The TBA’s annual awards ceremony, held on the July Course at Newmarket, highlighted the success of British breeders both in the National Hunt and Flat fields, and the range of individual winners provided an encouraging picture of the quality of British breeding, particularly at the higher end of the sport. We have a good number of high-class Flat stallions and an increasing number of successful National Hunt sires standing in Britain. In addition, it is encouraging that two TBA initiatives, the Elite Mares’ Scheme and the National Hunt Mare Owners’ Prize Scheme (NHMOPS), are beginning to change perceptions about jump-race breeding, as evidenced by buying activity and breeders’ decisions. Of course, no-one can deny that there is still a long way to go, but while these are early days for both schemes, in a process that will not be successful overnight, the early signs are encouraging. In what was deemed to be a popular move, the TBA’s annual general meeting was held the day after the awards evening, and with a high number of votes cast among the four candidates for two seats on the board, this was the best-contested ballot for some time. All in all, it was an encouraging sign of the serious engagement in TBA matters among members. It was pleasing to receive such positive feedback from the AGM and sincere thanks must go to all who attended. Personally, I would like to thank those who voted, and I extend particular thanks to the candidates, whose participation ensured such a close-fought election. I look forward to welcoming Anita Wigan, who will sit on the board for the first time, and Bryan Mayoh, who is back for his second term in office. Bryan, who received the most votes, was one of the speakers at the AGM, where he provided a snapshot of a new economic impact study commissioned by the TBA, of which we will hear more shortly. The AGM was also noteworthy for marking the retirement from the board of Paul Greeves. I referred to his contribution in my Chairman’s address but would like to thank him publicly and more widely for all he has done in his many years of service and support for the TBA and breeders in particular and racing in general. Paul has been associated with the TBA for almost all his working life, first through Weatherbys and more recently as a co-opted member and Deputy Chairman of the board. Everyone will miss his wise counsel and steadfast and loyal support. 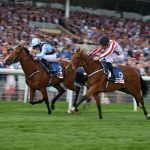 Personalities change but nothing stands still in British racing, and there will be much for the new board to do. With Brexit, however it turns out, getting ever closer, it is important for board members to focus on what can be done to support British breeders and ensure that whatever happens we are ready to take on the challenges that lie ahead. TBA board members have a breadth of experience across all aspects of breeding and business. While veterinary research and the various strands of education and training remain the core charitable activities undertaken on behalf of TBA members, it is equally important to ensure that breeders are recognised and supported across the whole racing industry. This requires board members and the executive to engage with numerous committees and other bodies that have an influence on our activities. The annual review highlights the association’s main activities but the primary focus for the coming year must be on developing that support and understanding across the whole of the industry. British breeders need support. Those already involved and those thinking of becoming involved must feel that there is a positive message underpinning their activities and, while there are no guarantees, that they have a good chance of success and reward in British racing. British racing needs British breeders and the horses they produce to fulfil the racing programme. Perhaps Brexit will be the catalyst for that recognition to spread across the sport, because without the horses we breed there is no racing industry. 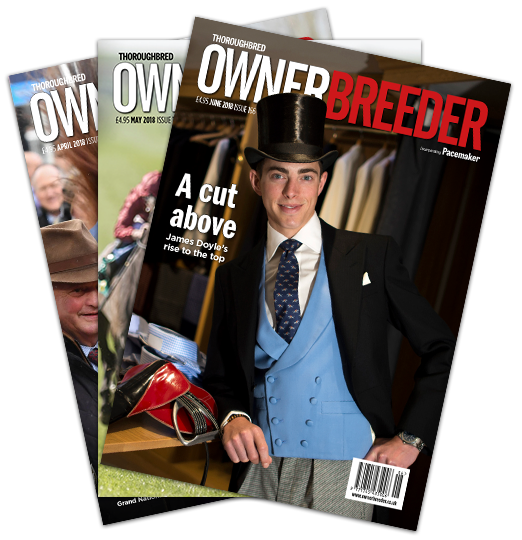 A substantial and successful British breeding industry is essential for the long-term health of British racing.